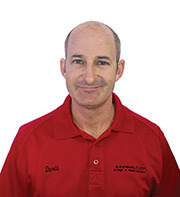 Jack Bulko started AutoAid in 1979 when son David, now partner was a one year old. 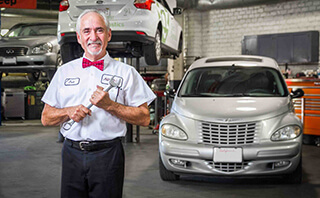 Since day one, Jack was driven by delivering a unique and personalized service to his clients from a 24/7 at your door light service to a full service Auto Repair serving the San Fernando Valley and surrounding areas. 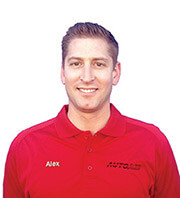 With a degree in Business Administration and Marketing from the City University of New York, Jack, along with sons David and Alex bring a smart, personalized and conscientious approach to serving the automotive needs of individuals, families and business. 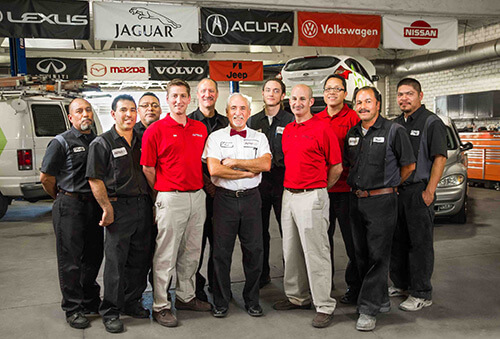 At AutoAid, our family and staff is committed to maintain, repair and restore your vehicle to move you and your loved ones comfortably and reliably from your driveway to the highway and safely back home. David Bulko joined the family business after graduating from UC Santa Barbara with a degree in Economics. Aside from the education David received at UCSB, he brings with him the enormously valuable skills he learned in customer service and hospitality at the 5 Star Bacara Resort & Spa in Santa Barbara. Alex Bulko joined the family business in 2014 bringing fresh ideas to better serve our customers. Alex graduated from UC San Diego with a degree in Sociology and also had the great fortune to work his way into management at the La Costa Resort and Spa in San Diego after graduation. He brings his wealth of Customer Service experience to serve you better.